The whiff of fresh idlis dressed in gun powder with stray grains of sugar was so appetising that my eyes gleamed in delight. The scene needs to be wound back almost half a century back. My best friend Ashok, a Tamilian, had just opened his lunch box. The reaction from him was just the opposite. He looked at them gloomily with disappointment. 'What have you got'? he asked. I opened my lunch box and it was my turn to return back the same reaction. It was beans, potato and paratha, which I detested.' Would you like to exchange' I asked in all innocence, avoiding letting him be aware of my love for beans? He was delighted and what followed next is difficult to explain. 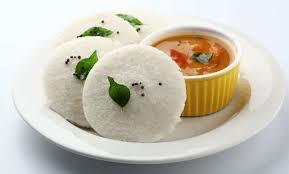 A love affair with the South Indian fare especially the tender idlis his mom prepared ensued. I lost count of times I would drop by his place on my way back from school for the gross indulgence, as my mom would return later as she was a teacher. Some time elapsed, and one day an auto stopped just outside our house. My aunt who lived nearby showed up and called us to carry something stowed on the footboard of the auto. It looked like a Shivlinga I had seen in the nearby temple, but the linga appeared to be inclined. It was my first brush with the 'grinding stone' for making the batter of dosas and idli. The aunt was proceeding abroad and was graciously leaving behind the gift which would pay back many times its value in time to come. My mother who was very fond of South Indian food slowly mastered the recipe of the proportion of rice and Urd dal required to prepare dosa or idli. The day the batter was prepared we kids would be called to assist in grinding with the sprinkling of water to see the small air bubbles arising as the batter got smoother. An exercise which ensured that no one ever got a bulging waistline which I see in the kids of pizza and burger fed generations now, Indeed, they were simple times and the joy of grinding the batter followed with preparing a coconut chutney with green chilis and chana dal in the same grinder. The love for 'idlis' was nurtured with a lot of sweat. 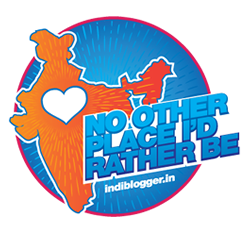 I travelled a lot within the country especially in the Southern part of India. There were times I spent time close to a month at a stretch and I enjoyed Idlis and Dosa every single day and for the entire month, I never missed the 'dal-roti'( the traditional NorthIndian food). No wonder my affinity for the South Indians is to a large extent attributed to their food(especially Idlis) and their simplicity. The best anecdote I remember was having gone to attend my good friend Ravi's daughter's wedding in Chennai a few years back. Despite my request to not arrange a pickup at the airport, he had sent a car to pick up my wife and I. From the airport we headed directly to the Murgun Idli Shop in the city before reaching his house. He laughed his head off when the driver, told him of the episode in Tamil!